Does Ezee Credit take trade-ins? In fact, you can use your trade-in as a down payment or towards any required up-front lease costs if there is enough value in your vehicle over any lien amount. You should find out how much you owe on your vehicle if you have an outstanding loan or lease. Does having bad credit or no credit mean I have to drive an older, unreliable vehicle? Absolutely not. At Ezee Credit, you can qualify for a low mileage, late model car, truck, SUV, crossover or minivan. Our experience has demonstrated that the better the vehicle – and your enjoyment of it – the better your chances of successfully rebuilding your credit. All of our vehicles undergo a comprehensive inspection, and are reconditioned and certified for your peace of mind. Great cars are one of the things that sets Ezee Credit apart. To see our current selection, Click here. And remember, we can also source a particular make and model if we don’t have exactly what you’re looking for. Do you carry all makes and models - or just one particular brand? At Ezee Credit, we carry all makes and models. But you’ll see that our great selection of pre-owned vehicles does have something in common: they’re low mileage and in excellent condition. What you don’t see is the comprehensive inspection we put every Ezee vehicle through before we turn it over to a customer. We know that a reliable vehicle greatly improves your ability to rebuild your credit successfully. That’s why we go to great lengths with every car, truck, SUV and minivan to ensure it meets our high Ezee Credit standards. What kind of vehicles can I get from you? Ezee Credit offers cars, minivans, sport utility vehicles, crossovers and light trucks for every day driving and/or for work purposes. Click here to see the great vehicles that we currently have in stock. We source and add vehicles on a daily basis, so our selection changes frequently. We can also find a specific make and model you’re looking for if we don’t have exactly what you’re after. Does Ezee Credit offer new or pre-owned vehicles? We specialize in high quality, low-mileage pre-owned vehicles, as well as new vehicles. Do you offer 100% credit approval? The simple answer is no - because we feel that it’s an empty and misleading promise. Anyone can get approved if they come up with enough money and/or the vehicle is cheap enough. Claims of 100% approval have little value to you, and are really just a ploy by the places that make such offers to get you to apply. At Ezee Credit, our goal is to get you approved for a quality vehicle that you’ll be proud to drive and still meets your cash and budget limitations. If your credit is at the point where we cannot get you approved, we will guide you through the things you need to do in order to get approved. What we won’t do is put you in a high mileage car that is likely to add to your challenges with reliability problems and costly repairs. Instead, we've been very successful in putting our customers into a quality vehicle after they had bee turned down or disappointed by competitors claiming to have 100% approval. If I have filed bankruptcy or consumer proposal, can I still qualify? Yes. At Ezee Credit, we consider all applicants – including people who have just filed and are still undischarged from bankruptcies and/or who haven't completed a proposal. In fact, we appreciate someone who has filed a proposal because it demonstrates their commitment repay debts and improve their credit. We also look favourably upon customers who have filed for bankruptcy as it shows a desire to address their credit challenges and free up their borrowing capacity to make a fresh start. Many of our clients have actually selected their Ezee Credit vehicle just before filing for bankruptcy or a proposal – and then picked it up right afterwards. We can also advise you of other opportunities, such as trading in your "exempt from bankruptcy vehicles" to Ezee Credit as part of a new lease, so you can drive a much better and newer vehicle throughout your bankruptcy. What if I have really bad credit? Many people over-estimate their credit challenges. As specialists in this field, we can review your credit situation objectively. We understand that things happen in life that can affect your credit score – and we know every person and credit challenge is unique. But there are likely more similarities than you realize. For over 20 years, the Ezee Credit team has used our resourcefulness and experience to help people with very bad credit get behind the wheel of a reliable vehicle – even when they've been turned down elsewhere. What if I have been turned down before? We regularly work with people who have been turned down elsewhere. Ezee Credit has programs and lenders for almost every situation – and we offer leasing options that most others don’t provide. We carefully evaluate your credit profile, income, debt factors and the type of vehicle you want to drive. Our goal is to put you in a quality vehicle so you can begin to rebuild your credit. We will guide you and explain any steps you need to take in order to get approved. Can I get approved even if I have bad credit? Absolutely. At Ezee Credit, we specialize in helping people make a fresh start. We focus on your future instead of dwelling on the past. That's why our motto is "Start Something Good!" One of the most important advantages of leasing your vehicle with Ezee Credit is that we can customize the lease to your specific needs, financial situation and driving habits. Because leases generally have a shorter term, this option can help you re-establish your credit more quickly than a longer term loan. Also, Ezee Credit reports your payments to the Credit Bureaus monthly - a very important factor in helping you rebuild your credit score (and something not all lenders out there do). To learn more about leasing and its advantages, Click here. What sources of financing does Ezee Credit use? At Ezee Credit, we have strong relationships with a large group of financial sources. We can generally offer you the same lenders that you’ll find available through many of the dealers or finance sources you find online or see advertised. But our experience working with them over many years is what sets us apart. Beyond that, Ezee Credit offers an important advantage you won’t find elsewhere – a customized lease option on your next vehicle that we finance directly. Many of our customers had not originally considered leasing their vehicle, and are pleasantly surprised to learn all the benefits. We will do an analysis, based on your financial information, and explain the merits of buying and leasing. You can then decide what's best for you. The one thing we won't do is “shop” your credit all over the place. We know it is your best interest to have as few inquiries to the Credit Bureau as possible. That’s why we take a more thorough approach up front. Apply today and let us show you your options. There’s no obligation and our online application is simple and secure. Click here to get started. What will the interest rate for my auto loan be? That’s an important question for which there is not a specific answer. Financing charges are determined by many factors, including overall credit history, the severity of credit problems, the degree of credit risk, the amount of down payment (if any), the term of the lease or loan, and the vehicle selected. Once it has been calculated based on these factors, we will advise you of the specific interest rate on your Ezee Credit loan or lease. To find out how good your terms can be at Ezee Credit, apply today using our online application. It’s fast, simple and secure. Click here to get started. What if I don't have all the money I need right now? No problem. Our popular Ezee Start-Up Program lets you get into a vehicle today and pay for the balance of the start-up costs over time. Will a down payment be required? It really depends on your credit circumstances and the vehicle you choose. We try to keep any down payment (or refundable security deposit on a lease) to a minimum. It is wise, however, to have money available for some of the start-up costs. Will it help if I have a co-signer? Co-signers, such as your partner, parents or other relatives – especially those with good credit histories and income, are a definite plus. Having a co-signer will improve your likelihood of approval as well as the terms of your loan or lease. Are there any fees associated with your approval application? No, there are no fees or obligations for applying to Ezee Credit online. In the rare event that you have not received a confirmation email or been contacted by us within 48 hours of submitting the Ezee Credit Application on our website, please contact us by phone at (519) 455-2408 in London or (519) 620-9900 for our Cambridge location. It’s easy. Simply fill out and submit our secure, online Ezee Credit Application by clicking here. Once you take this first step, we’ll help guide you through the rest. If you would like to meet with us in person, just contact us and set up an appointment with one of our Automotive Credit Specialists. We generally find, however, that the first meeting is more meaningful when you have applied online first. It’s quick. It can be as short as a couple of hours, but in most cases, you will be contacted within 24 hours of us receiving your online Application. Keep in mind that if you apply over a weekend or holiday, it can take a little longer. What are these sites that say they aren't a dealer or a finance source? There are a growing number of websites that offer online applications for credit approval. These sites get you to apply – and then sell your information to a car dealer in your area. Some of these websites also “shop” your credit to lenders – a process that can result in multiple credit inquiries and damage your credit rating. Before you submit an application on one of these websites, decide if you want to choose who you work with to get your next vehicle - or whether you want a random dealer to call you. Click here to learn more about "Pitfalls to Avoid." We hope you’ll choose Ezee Credit for our years of experience, and dedicated, personalized approach. We’ve helped thousands of people throughout Ontario drive great cars and rebuild their credit because we really do make it “Ezee.” Apply online today by clicking here. It’s safe, secure and there’s no obligation. Can applying to several companies hurt my credit rating? Each time you apply for credit, it can affect your credit rating. Every lender who receives your application will request a Credit Bureau Report. Too many inquires over time can suggest that you’re desperate or have been repeatedly turned down. By applying on several websites, you run the risk of raising red flags with the Credit Bureau. By doing this, you may end up with less favourable financing terms – if you’re approved at all. That means a higher interest rate, an older, less valuable vehicle, and/or a bigger down payment. At Ezee Credit, we protect you by carefully evaluating your application and circumstances in detail up front. We then request a Credit Bureau Report only once, to provide us with a better understanding of what will work best for you before proceeding. Click here to see "Pitfalls to Avoid." I see so many "bad credit auto loan” websites and ads out there. How do I know which one is right for me? Most of the “bad credit” auto loan websites and companies use the same group of lenders. Because of this, you should avoid applying on multiple sites. Doing so can result in several applications being sent to the same lenders, and lead to multiple requests for your Credit Report. When this happens, it can actually hurt your chances of success. Click here to learn about the “Pitfalls to Avoid” when getting a new vehicle. At Ezee Credit, we work differently than most. Since 1991, we’ve been offering people a professional approach, a human touch, and a process that minimizes Credit Report requests. We also offer an additional finance source no one else can. today. We make it Ezee. It has begun. The season of the year I like to call “winter smash up”. This is the season that takes place after the first snowfall, when all new and Seasoned Canadian drivers battle with that age old problem of adjusting to the confines of physics. Or more appropriately, learn to drive with snow and ice on the roads….again. Could someone really forget how? It was just 9 months ago! Yet every single winter we see the same problem. Laid-off? Here are some ways to ensure your credit survives. In September 2011, in a sleepy community outside London, Ontario, close to 1500 people were forced out of a job. The workers that were displaced by the St. Thomas Ford assembly plant shutdown have some tough realities ahead of them. In the short term, the reality of trying to find a job in a region heavily dependent on the manufacturing sector will prove to be difficult. For many Canadians the word Bankruptcy looks like this: B##%&@!*&y. It doesn’t have to be a bad word. There are many situations that we might find ourselves in that call for bankruptcy as a viable solution to financial success. It might sound ridiculous but let’s not forget that the path to financial success is built upon knowing what to do now in order to be prepared for the future. 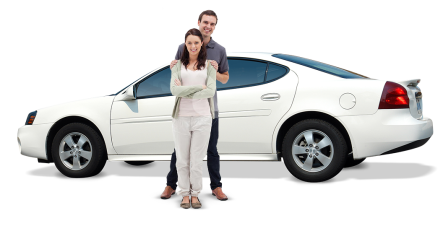 How To Love Your Car and Bad Credit Car Loans! Just think how easy it would have been to decide which car to buy when the Ford Model-T was the hottest set of wheels on the market. In today’s automotive market place there are literally hundreds of different choices of auto products.